Watch this webinar recording lead by MarTech® thought leader, Travis Wright. Travis will lead us through a fast-paced, action-packed webinar where he will showcase some of the lesser-known use-cases for marketing technology within your organization. This session will feature "hidden gems" of amazing MarTech® that Travis has encountered on his journey. He’ll cover how the emergence of APIs is shaping the stacks of top marketing organizations. Finally, he’ll share actionable ideas, examples, and use cases of how leading marketers are integrating and automating their processes. 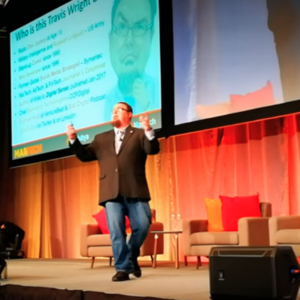 Travis Wright is a Marketing Technologist, Consultant, Keynote Speaker, Entrepreneur, Data & Analytics Geek, Tech Journalist, Startup Growth Hacker, and Stand-up Comic. He is the former global digital and social strategist at Symantec for the Norton brand. Over the past 15 years, Wright has helped hundreds of B2B & B2C companies, from well-funded start-ups and SMBs to Fortune 10. He is also a columnist for Inc. Magazine. Travis has given over 75+ keynote presentations since 2012, in the U.S. and internationally. Wright works globally with company executives and company influencers on digital media ad spend, social business strategies for marketing, sales, and HR, as well as marketing technology consulting. 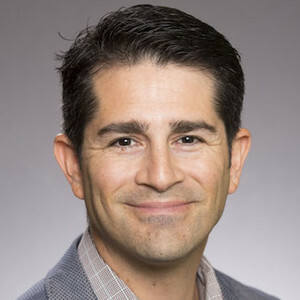 Alex Ortiz has a 15-year career in high-growth companies, venture capital, and startup advisory. His B2B Cloud software experience includes marketing leadership roles at Salesforce, LinkShare, Host Analytics, and QuanticMind. He is passionate about building high-performing marketing teams and using technology to win. He’s earned a MBA from the Haas School of Business at the University of California, Berkeley and engineering degree from Cal Poly, San Luis Obispo.